The concept for wellness and self-care continues to be all-embracing and people are designing their interiors to implement a calm and relaxing atmosphere. A boldly coloured room may not strike immediate feelings of peace and tranquillity however, choosing a black colour scheme may render these feelings! Emphasising sensuality and luxury, we’re allured by the idea of stepping into our own spa-inspired black bathroom. 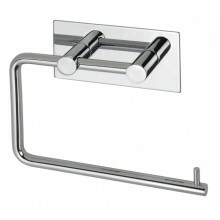 The style offers a unisex appeal and looks exceptionally striking when refurbished with textured black mosaic tiles and chrome or polished stainless steel hardware to add a glistening effect. The adoption of wellness and self-care practice is rising and whilst women have been more often perceived to indulge in self-care, the conventions are swiftly changing. 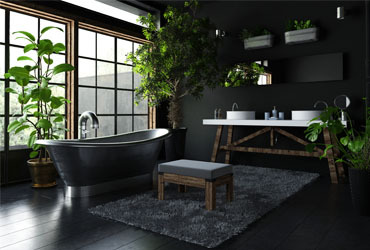 Whilst bold colours for the interior begin to emerge within homes this year, what better way to incorporate the practice of well-being than by doing so in a sultry black bathroom? Consider the dramatic change of bathroom colour as a healthy, holistic approach to good health; for the mind, body and the eyes! 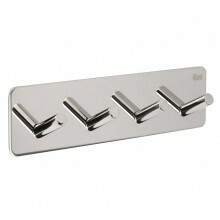 Incorporating polished stainless steel hardware into your bathroom; such as the designer door handles with a 3 ring groove design, will offer a distinctive and sublime aesthetic whilst providing elements of unique charm in the space. 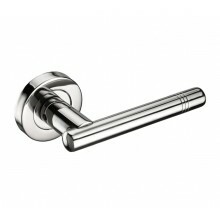 There is the added benefit of durability from the polished stainless steel hardware due to the high quality of the material used in manufacturing. The material and finish of the polished stainless steel hardware provides the perfect choice for adorning contemporary style homes and properties. Embellishing the bathroom with designer door handles will offer an elegant appearance, whilst adding a luxurious touch to the desired spa-inspired bathroom. Alternatively, you may choose to pursue an all-black bathroom look with the use of matte black finish hardware for a distinctive, dark characteristic. This concept is exceptionally daring, yet so easy to incorporate into your design. Add a matte black toilet roll holder with self-adhesive backing to blend seamlessly into the walls in addition to self-adhesive black towel hooks attached to the back of the door to hold matching black towels and robes. For your bathroom cabinets and drawers, add matte black drawer handles in a T-bar design for an eye catching embellishment. Vary the textures of your room for sensory delight by adding knurled matte black handles to your bathroom doors. The knurled texture and the luxurious feel of the weight in hand offers a comfortable grip which emphasises feelings of security and privacy in your personal space. We strive to make your interior design planning easier by offering inspiration and a variety of high-quality products that excel in both aesthetic and performance. You deserve a peaceful life, so try incorporating these spa-inspired interior design tips to relieve some of your stresses. For more inspiration on bold statement interiors, check out our 3 Rooms in Need of Living Coral blog.